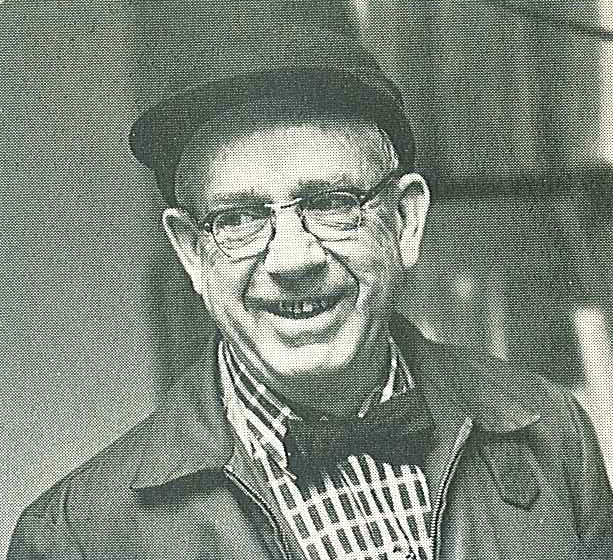 A deeply thoughtful man, Charles Burchfield, through the example he set with his studio practice, had a lot to say. 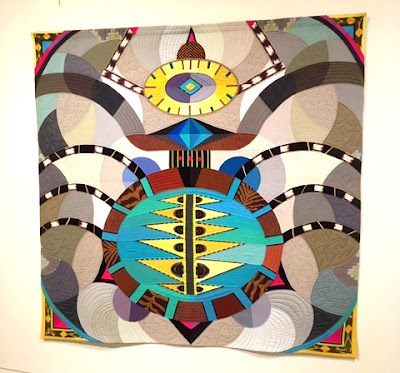 This is on my mind as next month I'll be returning to spend another week in Buffalo, NY as part of my Burchfield Residency at the Burchfield Penney Art Center. I thought it would be useful to summarize some of what I've learned from this artist. 1. Value where you are. Trust that there is meaning in your immediate surroundings. Burchfield realized after only a brief stay in New York City that his creativity had always been most stimulated by close proximity to nature. The big city for him would have been a bad career move. 2. Prepare yourself for insight. He was constantly studying the world through the thousands of drawings he left us. When he got a good new idea it found its way onto drawing paper fast. 3. Be patient. He knew often brilliance comes to us only slowly. There's no better example than Burchfield of a painter willing to work on a image for many months or years until he developed his idea to its final form. 4. Revisit your earlier achievements. Re-evalutate your path. 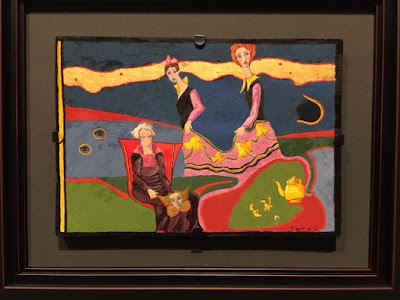 In the last decades of his life after a long period of working more as a realist he rediscovered much of the visionary energies that had animated the paintings he'd made as a young man. He wasn't one to say "been there, done that." Instead he reached back to mine some of the sources that had propelled him forward as a youth. 5. Life's Potholes Don't Have to be Insurmountable. Reading selections from Burchfield's writings there a numerous journal entries where the artist poignantly reveals his sense of defeat and despair. Yet he made it through them and would return to his productive life. 6. Find a Way of Working that Fits Who You Are. The way other people do things might not work for you. For example almost all watercolorists work with their painting surface held nearly horizontal to keep the fluid pigment from dripping uncontrollably. 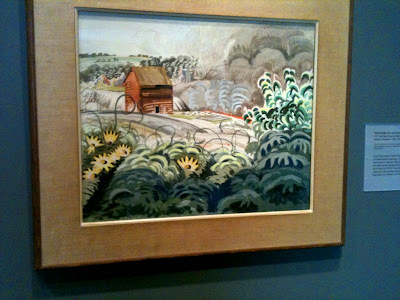 Yet Burchfield found he painted in his studio better when his watercolor's surface was vertical. It was an odd way to work. Here he is with a brush in one hand and a sponge in the other, ready to catch the any unwanted dripping wet pigment. 7. Be Passionate. Burchfield wasn't afraid to have strong emotions. His embrace of the winds and sounds of nature was fervent. While outwardly polite, his feelings about what he didn't like could be extremely pointed. In one of his private journals there's a withering description of a pretentious art museum director blathering about the "genius" of some Abstract Expressionist paintings Burchfield had no use for. As a landscape painter work at the opposite end of the Appalachians in Georgia I have long admired Charles Burchfield's work finding delight and inspiration. 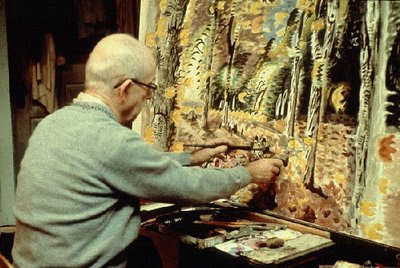 Did Charles Burchfield Lie About Color?